Think about your spine, as well as all of your muscles, ligaments, tendons, bones, tissues and joints. As a whole, they make up your musculoskeletal system and enable you to move your body. When any part of this interconnected system does not work properly, it can severely affect your ability to perform daily activities, including continuing to do your job. It is vital to have an understanding not only of your injury, but also about recent changes in Social Security law that could work in your favor as you apply for Social Security disability benefits. The muscular skeletal system is multi-faceted and can suffer many types of injuries. In an effort to explain and classify the numerous diseases and injuries that can occur throughout this vast and intricate system, the Social Security Administration has established specific criteria for many of these conditions known as Listing 1.00. 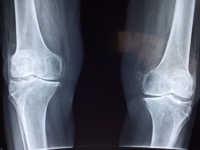 These include but are not limited to: joint problems such as osteoarthritis and neck and hip difficulties; muscle and ligament damage such as chronic soft tissue injuries; and bone conditions like necrosis and bone spurs. Because each person’s situation is unique, it is foolhardy to attempt to make blanket judgments about whether a particular disability case will be approved simply based on the name of the condition. Instead, if you have strong evidence to support your claim that your musculoskeletal injury has significantly impaired your ability to do your job, it is definitely in your best interest to seek a Chicago, Illinois Social Security attorney who can help you obtain the financial results you need. The human body is an amazing machine whose subtleties continue to elude scientists and medical professionals. When problems arise and this delicately balanced system breaks down, the consequences can be physically and financially devastating for you and your family. Having an ally at your side who can help you fight to receive Social Security benefits on the basis of your muscular skeletal condition can be a vital component to your eventual success.